"Fine wine from the great Commonwealth of Kentucky." 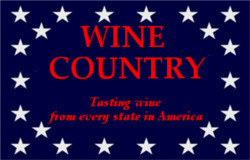 That's the banner on the Elk Creek Vineyards website, showing their pride in the wines grown and produced in the rolling hills near Owenton, about an hour from Lexington, Louisville and Cincinnati. What's more, they claim to be the largest winery in the state better known for bourbon and horses than wine. 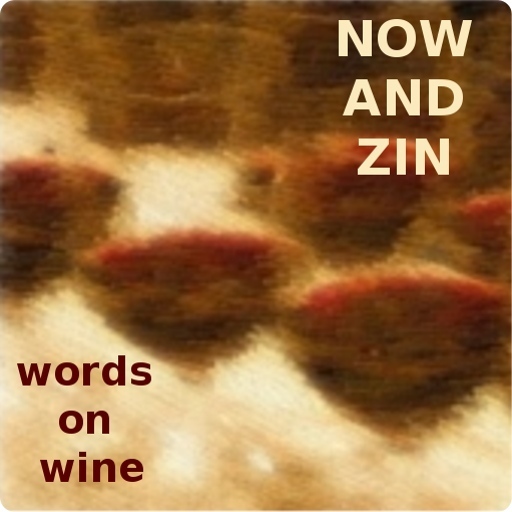 The story of the wine industry in the Bluegrass State is an interesting one, and it goes back to the very beginning of the wine industry in America. The Kentucky Wine website says Kentucky was "home to the first commercial vineyard in the United States, and once producer of more than half the nation's grape and wine output." That first vineyard was in Lexington, on the Kentucky River. Swiss winemaker Jean-Jacques Dufour sailed over in 1798 to find new land for grape growing. He was the winemaker for the Marquis de Lafayette. Dufour bought 600 acres and dubbed it "The First Vineyard." According to Kentucky Wine, his first vintage in 1803 went to none other than Thomas Jefferson. By the late 1800s, Kentucky was the third largest producer in America. Prohibition, of course, killed Kentucky's wine industry, and wineries weren't legal again until 1976! Now there are over 50 wineries in Kentucky. Time and Prohibition took their toll in The First Vineyard, as it fell into oblivion. Reconstruction of that vineyard began in 2002. In 2008, 40 Cape grapevines were planted. They are said to be the grapes Dufour first planted there, and are also known by the name of Alexander. The present owners have since planted Riesling, Norton and Vignoles vines. The great blog The Other 46 featured a nice video from Kentucky Wine, which I have borrowed here. It says on the wine's label, "Kentucky Grown," and the folks at Elk Creek are quite proud of that. The wine has a most reasonable 13.2% alcohol content. 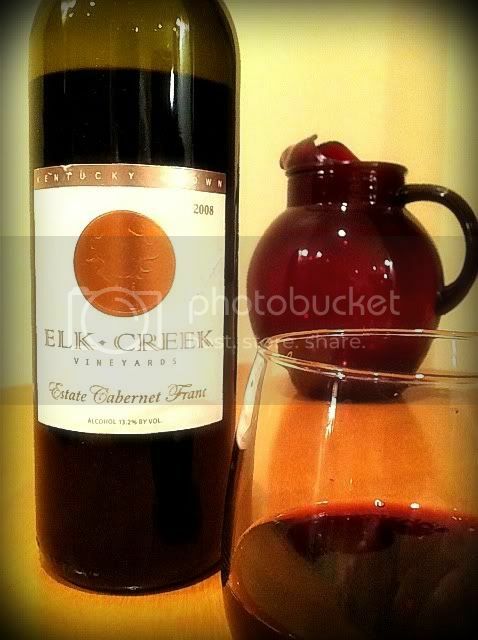 Medium ruby in color, Elk Creek's Cab Franc boasts a nose so fruity it’s almost perfumed. Extreme blueberry aromas, red plums, cassis, vanilla spice and a touch of cinnamon all compete for attention. Throw in a little pencil lead and you’d have a fine impersonation of a Napa Cab. The taste seems a little hot at first, but after proper time to breathe it settles down very well. On the palate I find all that fruit my nose got acquainted with, plus a little trace of bell pepper. The green, or herbal notes really come forth on the finish, which is a lengthy and satisfying one. After enjoying this great expression of Kentucky fruit, it's easy to see why Elk Creek Vineyards has so much pride in their heritage and their product.